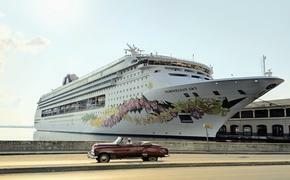 Norwegian Cruise Line’s new 4,000-passenger Norwegian Getaway will homeport at Miami year-round beginning in spring 2014. Norwegian currently has three ships sailing seasonally from Miami, including the 4,100-guest Norwegian Epic. Now under construction at Meyer Werft in Germany, Norwegian Getaway will be 144,000 gross tons. Norwegian will announce the ship’s inaugural itineraries and on-sale dates later this year. Norwegian Getaway’s sister ship, Norwegian Breakaway, will begin sailing from its year-round homeport of New York City in May 2013.